The Meade Instruments 209002 Infinity 60 AZ Refractor Telescope is a very popular choice for beginner astronomers looking for an almost pro-like optical instrument to get started with scopes without investing a small fortune just yet. When it comes to celestial bodies’ observations, terrestrial viewings or astrophotography, one needs the best instruments on the market. Even beginners need to start with the right foot a new adventure or hobby into the mysteries of the sky and make use of the best tools within their price range. There are many affordable telescopes, granted, but are they good enough to convince the amateur astronomer to dedicate time, money and efforts to this new-found passion? Today we will talk about the Meade Instruments 209002 Infinity 60 AZ Refractor Telescope, a product that made history along the years. There are many Meade Instruments company reviews on the internet emphasizing on the fact that historically speaking, Meade Instruments was involved in the discovery of the Comet Hale-Bopp and in deep space exploration, flying successfully on the Space Shuttle. So let’s see if this Meade Instruments Infinity 60 AZ Refractor telescope is as good as it is advertised, considering the product is more than affordable. What is the Meade Instruments 209002 Infinity 60 AZ Refractor Telescope? 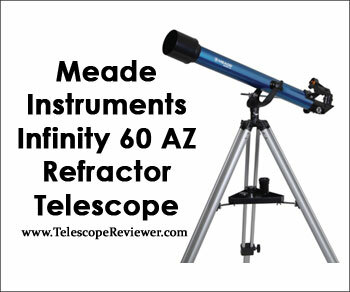 A Meade Instruments 209002 Infinity 60 AZ Refractor Telescope review should begin by looking into the technical specifications and details of this product. We will start by saying that among the best beginner refractor telescopes, this one has an impressive aperture: 60 mm (2.4 in), making it perfect for both celestial and terrestrial viewings. 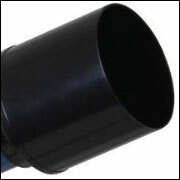 Given the aperture (perhaps the best one in the price range) and the fact that the Meade Instruments 209002 Infinity 60 AZ Refractor Telescope images are not upside-down (which makes terrestrial observations and astrophotography a delight) means that you will get the best viewings in crystal clear details. Regarding optics, Meade Instruments telescopes usually use 2x Barlow lenses and this Meade Instruments Infinity 209002 telescope makes no exception. There are two eyepieces which provide three different magnification options (low, medium and high), fully coated for crisp and clear images. If you wonder what you can see with the help of this product, let us tell you that you will have a first lunar experience that it will blow your mind, as the Moon is perfectly brought right in front of your eyes. If you are curious about the real views of the Moon with the help of this telescope, we recommend you to search for Meade Instruments 209002 Infinity 60 AZ Refractor Telescope YouTube videos. 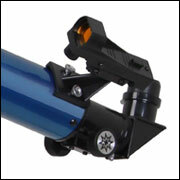 But the Moon isn’t the only thing in the sky you can see with this Meade Instruments 209002 telescope. There is also Jupiter with all its moons, Saturn and its beautiful rings and even the Orion Nebula, all visible within an hour after you assembled the telescope. This is the power of the optical design provided by the company. The telescope boasts an Alt-Azimuth mount, a Red Dot Viewfinder and fine tuning knobs that allow you smooth controls and an overall easiness of tracking celestial objects while they are in motion. The images are bright and clear and you will have no problem finding, focusing and following stars and planets in their travel through the universe. One great feature sported by the Meade Instruments Refractor Telescope Infinity 209002 is that it is incredibly easy to set up. In under an hour you can assemble the entire system, understand how it works, refine your aiming and tracking of celestial and terrestrial objects and start looking at nebulas and star clusters. This makes the telescope an ideal gift for children and all beginner astronomers out there who don’t need complicated tools and frustrating instructions which decrease their chances of success and enjoyment. Moreover, the Meade Instruments 209002 Infinity 60 AZ Refractor Telescope manual is detailed, comprehensive and easy to follow, so even the less skilled users can get the hang of the telescope with no problems. A few words on the overall aspect and building of the telescope are necessary. Usually, the Infinity telescopes of Meade Instruments are sturdy, well built and strong enough to resist transportation to various places. This one features a “rock solid” tripod (as many users noticed), while the telescope itself is built having the best quality in mind. Some of the bits and pieces are plastic, making it look a bit flimsy, but operating with the scope on a daily basis will convince you that Meade makes little to no mistakes. We will continue with a list of pros and cons of the Meade Instruments 209002 Infinity 60 AZ Refractor Telescope, without forgetting to mention the mind-blowing price of this product. The Meade Instruments 209002 Infinity 60 AZ Refractor Telescope price is incredibly convincing when comparing similar products within the same price range. The downside of the Meade Instruments 209002 Infinity 60 AZ Refractor Telescope is that it is a beginners’ telescope, so whoever expects Hubble-like images might be disappointed. Where to Find the Meade Instruments 209002 Infinity 60 AZ Refractor Telescope? Without a doubt, the best offer for the Meade Instruments Infinity 60 AZ Refractor telescope is on Amazon. 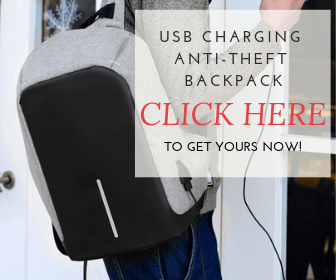 At only $59.95, it can be considered the best price-quality balanced product within its niche. The price was one of the reasons people chose to buy this telescope, and given its tech specs and versatility, they weren’t disappointed. Perfect for being given as gifts and matching almost any budget a beginner astronomer is willing to invest in a new hobby, the Meade Instruments 209002 Infinity 60 AZ Refractor Telescope price is unbeatable. If you keep the Meade Instruments 209002 Infinity 60 AZ Refractor Telescope safe from dust and humidity or direct powerful sunrays, you should not have any problems keeping and maintaining the product in the best conditions. The lenses should be cleaned with a microfiber cloth and you should take care of the scope while transporting it as mechanical damage is possible especially on bunpy roads or fields. The telescope comes with the Alt-Azimuth mount with adjustable tray and the bonus DVD. However, there are plenty of accessories compatible with the telescope and you can buy filters, lenses and accessories for astrophotography. Meade offers a one – year warranty for the product which includes standard warranty operations in the boundaries of normal wear and tear. 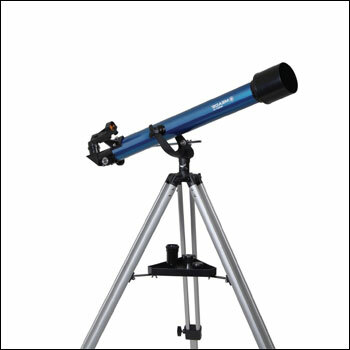 We recommend this product to all beginner astronomers, children and nature lovers as well, as the Meade Instruments 209002 Infinity 60 AZ Refractor Telescope is perfect for stargazing and terrestrial observations. The best features of the product are the 60 mm aperture and the 2x Barlow lenses (two 1.25 inch eyepieces), together with the focal length of 800 mm and focal ratio of f/13.3, providing crystal clear, bright and crisp images of the Moon, planets, stars and nebulas. 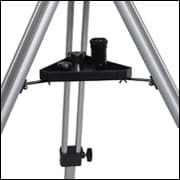 Moreover, the adjustable aluminum Alt-Azimuth mount with adjustable tray, sturdy and fine-tuned knobs and slow motion controls, the rock solid tripod and the overall quality of the product’s build make this telescope probably the best in its niche. Add the low price and the high quality/cost balance and you have a product you will use on a daily basis.